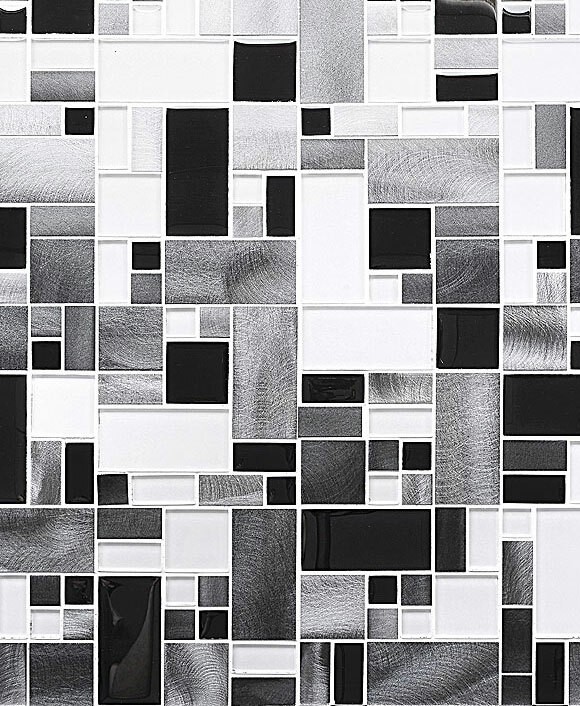 Get more ideas about white color backsplash tile ideas & installation patterns. There are many type of white backsplash tile you can find like: Glass tiles, marble, porcelain or ceramic. Tile size: 4×4 tile, 3×6 subway tile, 4×12 large subway tile, 12×12 mosaic tile or any custom cut tile. This kitchen captures aesthetic imaginations by combining versatile white cabinets with exotic 2×6 white porcelain backsplash tiles and white marble countertop mixed. The ageless design is ideal for any kitchen where nothing more is needed apart from the best. This modern kitchen has a white brick mosaic tile that enhances the warm white cabinetry and the gorgeous white marble countertop. Consider using this tile as an accent if you are looking for an inexpensive tile. Facet insets bring in a visual glow to a simple backsplash for less. Clad from the marble counter to the cabinetry with durable and glittering white 3×6 calacatta gold tiles, this backsplash complements well with the white cabinetry and white-stripped marble countertop. To impart a lustrous and timeless look, the backsplash edges are covered with white grout with stainless steel faucets enhancing the beauty of the sink area. The owners of this kitchen used dark brown wood cabinetry & white quartz countertop to harmonize it with the pure white 4×12 glass tile. The color mix brings a balance to this kitchen giving it a modern and sleek edge that will be worth trying in your upgrading project. Sparkle and Polished, this kitchen utilizes stainless-steel appliances and sparkling white marble countertop to maintain a cool veneer in this spacious kitchen. Callacatta gold custom cut backsplash tile used for oven area. The reflective quality of the tiles and the espresso-color wood floor helps give the kitchen a vague impression, creating a line between traditional off-white cabinetry and modern appliances. Texture and shine. The 4×12 white porcelain backsplash tiles offer country elegance and warmth to the black countertop in this modern kitchen. The speckled countertop and the white and black cabinetry adds visual and texture interest. To get a noticeable backsplash like this, opt for tiles that have warmer shades than the cabinetry paint. The white, textured 3×6 porcelain backsplash tiles bring a hint of purity into this kitchen and harmonize the marble countertop and dark wooden cabinetry. To express a sense of calmness in the kitchen warm tones are blended with earthly colors and modest patterns and materials. A well-Balanced kitchen with white 2×4 porcelain backsplash tiles that oozes the spirit of a cottage-style kitchen. The dark brown cabinets and the beautiful beige speckled countertops balance the equation allowing the backsplash to stand out as the focal point in this kitchen. The white backsplash tiles also plays the role of a balanced neutralizer making the kitchen warm and appealing. These 4×4 white porcelain backsplash tiles are ideal if you are after a big statement. In this kitchen, the white-shiny and squared sample is simple in design while at the same time packing a big smack when paired with pure white cabinets, stainless steel appliances, and brown smooth wooded countertops. Distinct patterned 3×6 white beveled edge porcelain backsplash tile and dark brown cabinets that mimic the look of a luxurious modern kitchen. The dark-stain assortment and furniture-like lower and top cabinets punctuate the milky tint of the backsplash. Match these with checkered brown and beige tiles for a balanced look. Extravagance on a budget. Milky white and strategically placed brown 4×12 porcelain backsplash tiles amplify the luxuriousness of this kitchen’s look. If you are in love with porcelain, get the looks on a budget using the porcelain tiles while harmoniously matching the colors with dark kitchen cabinetry and sparkling white countertops. Color explosion in this kitchen gives it preeminence thanks to the synchronization of “faded” brown cabinetry colors and the white subway marble backsplash tiles. The stainless appliances add a refreshing tranquil feel to the kitchen coupled with the speckled white countertops that makes everything prominent. This entry was posted in BRICK, GRAY, MARBLE, SUBWAY, WHITE. Bookmark the permalink.